Travel can be torture, but if you arm yourself with these mobile apps and websites for getting the most out of your vacation, you can steer clear of the tourist traps, stay one step ahead of the crowds, and make your flight with time to spare. 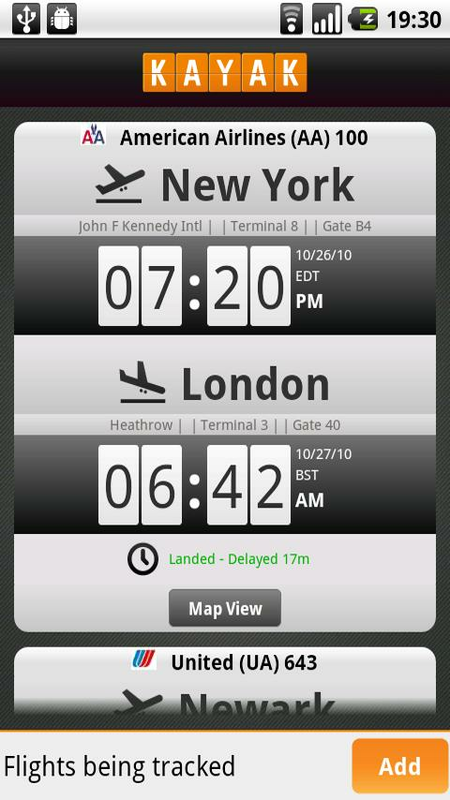 Simplicity is the key to FlightBoard from Mobiata: The app has the look and feel of one of those low-tech airport monitors that track arriving and departing flights. But when you click on your flight, a handsome window opens showing such flight particulars as delays and gate information. 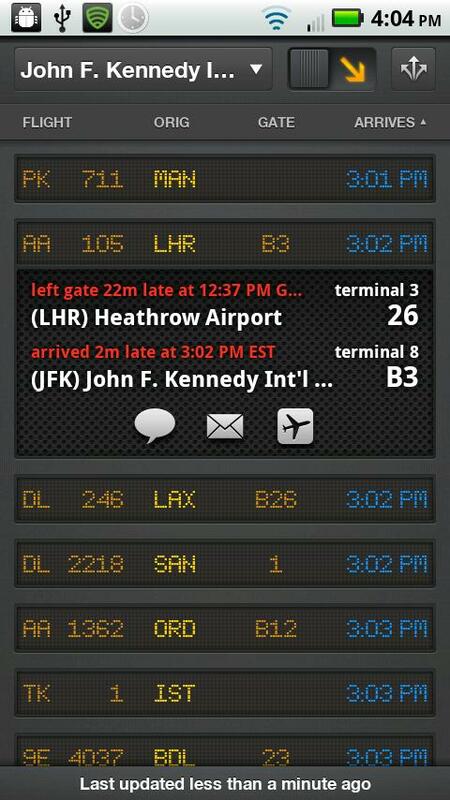 According to Mobiata, the app offers data for 1400 airlines at 4000 airports worldwide. The service refreshes its data every 5 minutes, and you can share flight information in a few steps via Facebook, Twitter, text message, or e-mail. Gogobot integrates with Facebook, FourSquare, and Twitter. Gogobot takes travel recommendations to the next level by integrating with Facebook, FourSquare, and Twitter. The service, which is still in beta, differs from your run-of-the-mill travel site in reaching out to your social network of friends for their recommendations and travel tips. After signing up for a free account you can connect with any mutual Facebook or FourSquare friends who have also signed up for Gogobot. 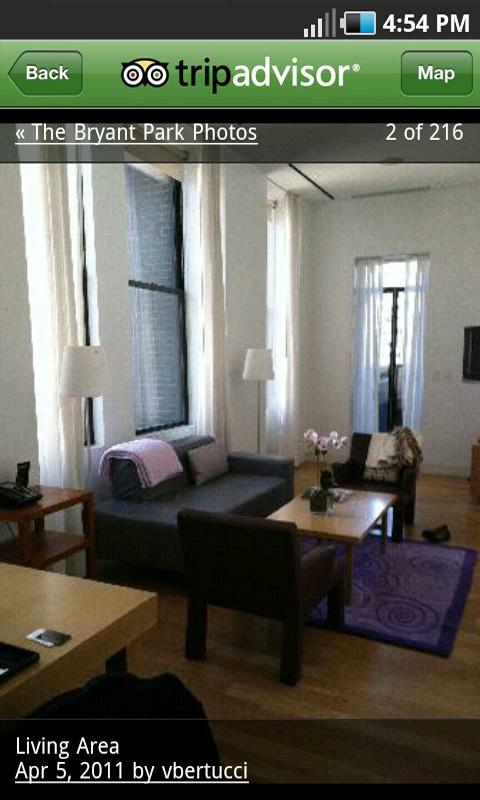 Looking for a place to stay in Boston? Gogobot will single out recommendations that your friends have made in Boston along with all the other Gogobot users. Because Gogobot is integrated with Facebook, FourSquare, and Twitter, you can address a question to a social network. Gogobot will take a question such as "Know a great place to eat in Boston's North End?" and automatically post it to Facebook, culling the results and getting back to you within the Gogobot service. Google Maps deserves a mention here because of a powerful yet often-overlooked feature: mass-transit directions and schedules. When accessed through a desktop or mobile browser, the bus, train, and ferry icons that pepper Google's street maps for many cities link to mass-transit schedules, maps, and the websites of local transit agencies. For example, Google Maps can show you how to turn a $40 cab ride from New York's LaGuardia Airport to your Manhattan hotel into a $2.25 trip on the Q33 bus with a free transfer to the number 7 subway train. Click a bus-stop icon in Manhattan, and a list of buses that stop there will pop up, along with the scheduled time for the next bus on each route to arrive. 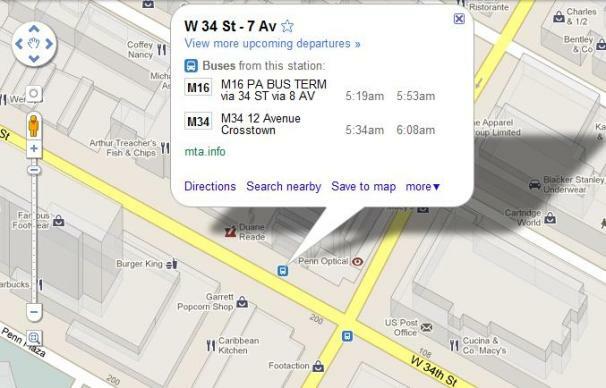 Google Maps can generate combination bus and rail directions with transfer points and walking distances. It can provide driving directions, too. Kayak doesn't blow away its airline- and hotel-reservation competition; it drags them along for the ride. The website and apps allow you to price-compare your travel plans on multiple major travel sites at once--a major time saver when you're making last-minute plans. The site intelligently selects a handful of travel sites based on your trip. For a New York-to-San Francisco trip, for example, you can search for flights on AA.com, CheapOair, Delta, Expedia, Hotwire, Priceline, Travelocity, and Virgin America. The results can be daunting and cluttered as they pile up in other browser windows, however; the results aren't compiled on a single page. One feature I like is the site's Your Price Alert service, which will send you e-mail alerts if your desired itinerary gets cheaper. 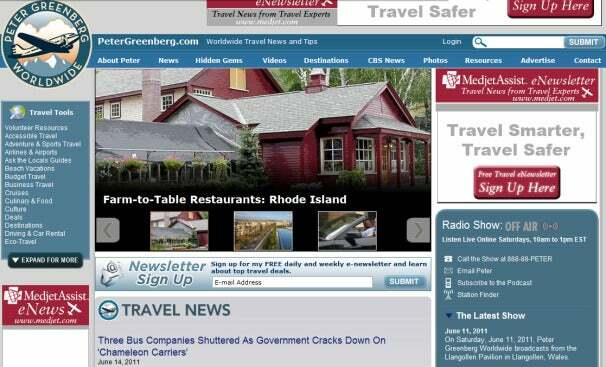 Peter Greenberg is a travel guru with a dynamite website offering priceless tips, news, and advice. Don't think of Greenberg's site as a place to buy airline tickets or to find shopping tools for hunting down the lowest hotel rates. Rather, PeterGreenberg.com is a one-stop-shop for getting honest advice on the best travel sites to turn to for all of the above. I love this site for dishing out the truth about frequent-flier mileage scams, offering a series of interesting off-the-brochure travel guides, and providing timely features such as Father's Day gift ideas for traveling dads. Thanks to PeterGreenberg.com's awesome Daily Travel Tips section, I now know which ferries that pass near the Statue of Liberty on Liberty Island are free. An easy-to-use, GPS-enabled app, Poynt allows you to find businesses, people, movies, restaurants, and gas stations close to your current location. When you enter the name of a business, its address and phone number pop up, along with a map and an opportunity to have the map and the information sent to your phone. Poynt's movie feature includes trailers, reviews, theater locations, and film start times, as well as a top-ten film listing. Poynt comes in numerous app flavors, including a version for the otherwise app-starved BlackBerry PlayBook tablet. 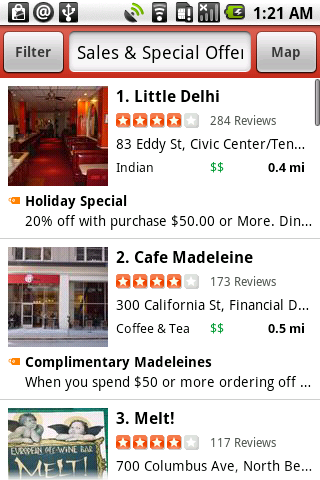 RoomSaver's Android app focuses on finding nearby accommodations. 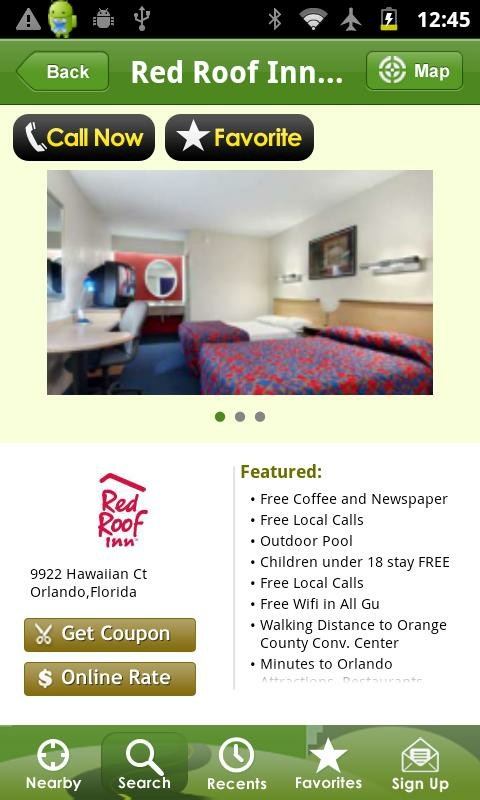 RoomSaver, the coupon-laden magazine published by Dominion Enterprises that travelers often see at highway rest stops, has evolved into a simple yet usable app-and-Website combo with one purpose: to help you find a nearby, inexpensive hotel room. RoomSaver lets you enter a location or--if you're not sure where you are--use your iPhone's GPS to pinpoint your position, and then it generates a list of lodgings in the vicinity that honor RoomSaver discounts. RoomSaver offers coupon rates at thousands of destinations nationwide. Also available on the website is a Flash version of the printed RoomSaver magazine, a convenient feature for people who have Flash-enabled tablets and time to page through the offerings. The TripAdvisor app relies on content from its users. TripAdvisor offers a wealth of comparison shopping information for flights and hotel rooms, but its most useful content is the thousands of reviews, tips, photos, and videos provided by the community of TripAdvisor travelers. TripAdvisor's traveler-generated room photos can be particularly eye-opening, in many instances showing that images provided by hotels don't match reality. Sometimes, too, the photos uncover little gems such as cool architectural features that the hotel failed to mention or document in its advertising. Though the reviews are subject to contamination from fakes planted by hotel owners looking to pump up their properties or to take down a competitor, such shenanigans are the exception. 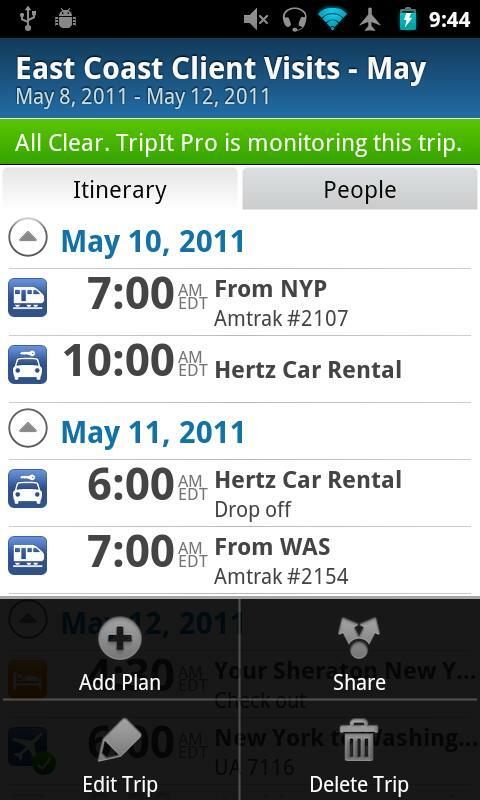 Tripit specializes in making itineraries simple and coherent. Tripit excels at rendering confusing travel itineraries in easy-to-read formats for desktop and mobile access. It also enhances the data with extras such as weather reports and links to local attractions. Using Tripit is as easy as opening a free account and forwarding your itinerary e-mail from a hotel, airline, or travel agent to Tripit. The service processes, parses, and returns the information in minutes. You can then add your own notes and photos to your Tripit itinerary and share your trip information with others via social media. Yelp is another user review site with scads of assessments. It's technically not a travel site, but Yelp offers huge archives of user-generated reviews covering everything from five-star restaurants to corner food carts. The data is an invaluable for travelers who want to avoid substandard hotel rooms, bad food, uncomfortable airline terminals, and the like, as well as to find local treasures that might not make it into any tourist guide. During a trip to Chicago that I took recently, Yelp yielded numerous tips that the best burger in town was sizzling a block from my Loop hotel. And so it was. As with TripAdvisor, though most of the advice is genuine, Yelp does get some planted commendations and complaints from people who have ulterior motives.